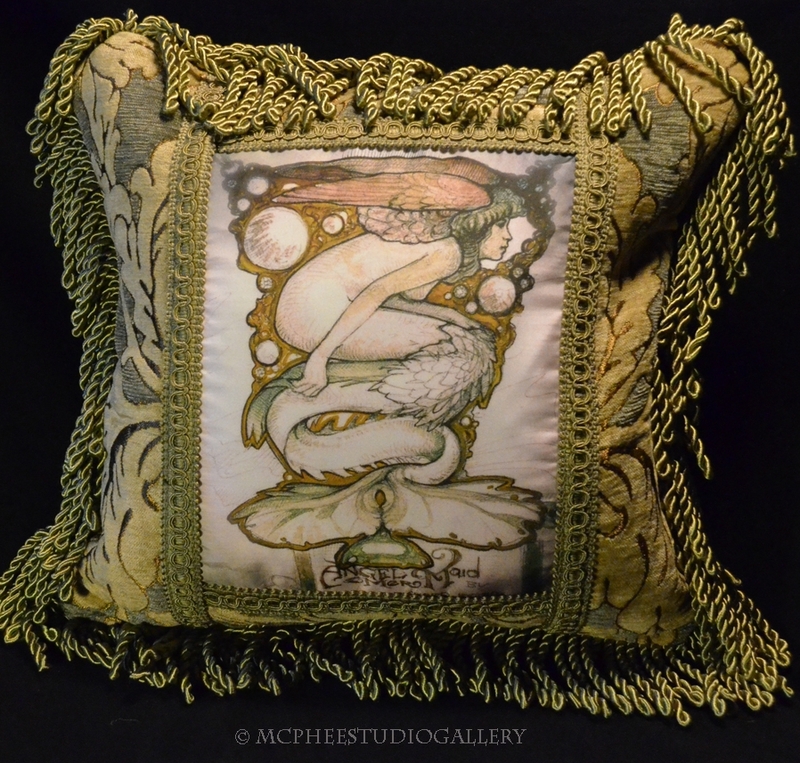 Art Cushion with Illustration by Thomas R. McPhee, elegantly created with brocades and satiny trims as a decorative accent to your bed, sofa or chair. Image of a horse printed on silk, framed in a beautiful burgundy brocade and satin fringes. This cushion dimensions are 18" x 12" with down feather cushion insert. One of my favourite cushions made with a beautiful tapestry fabric, green fringe, with 'Diana' image printed on silk, illustration by Thomas R. McPhee. Please email for dimensions and availability. This image named 'Ondine' is an illustration by Thomas R McPhee, sketch of the pendant he created out of carved gemstones. This art cushion is one I made for last years Christmas Craft Fair. 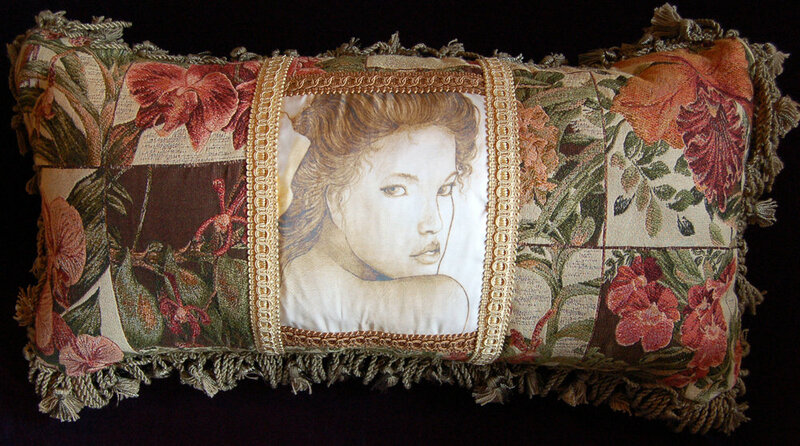 I will be updating this page with more images of art cushions that will be available for sale. Stay tuned . . . . . . . This one here is made with beautiful red brocades and velvet trims - doctor bag. Interior of the Red Brocade Doctor bag.